“Maze Runner: The Death Cure” grossed $1.5 million during Thursday previews, on its way to a $20 million opening weekend. In comparison, the first “Maze Runner” raked in $1.1 million before it scored an opening weekend of $32.5 million. The sequel, “The Scorch Trials,” earned $1.7 million and went on to gross $30 million its debut weekend. “Death Cure” is expected to earn around $20 million this weekend. The third installment in the franchise was supposed to open a year ago but was delayed due to lead actor Dylan O’Brien’s injuries sustained during filming. Wes Ball directed all three of the films. “Death Cure” also stars Kaya Scodelario, Thomas Brodie-Sangster, Will Poulter, Ki Hong Lee, Rosa Salazar, Giancarlo Esposito, Patricia Clarkson and Aidan Gillen. 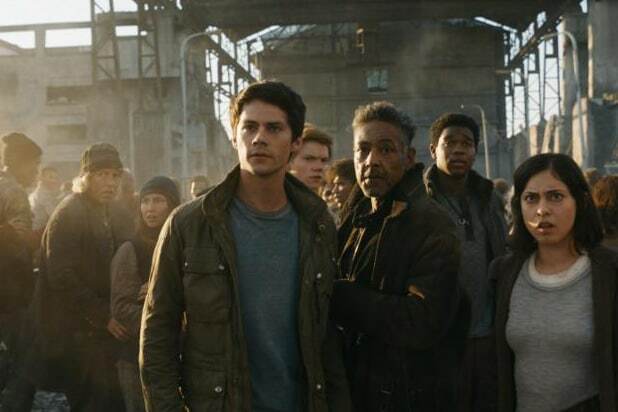 This time, Thomas and his Gladers must find a cure for the deadly disease known as the “Flare.” They travel to the WCKD headquarters to rescue their friends. The film already had a great start overseas, where it has grossed a solid $18 million from international markets. Christian Bale’s “Hostiles” is expanding to 2,800 theaters this weekend after it had a limited release on Dec. 22. Since then, the drama has grossed $1.8 million. Rosamund Pike, Ben Foster and Wes Studi also star in the film written and directed by Scott Cooper. It is expected to earn roughly $10 million this weekend. Dwayne Johnson’s “Jumanji” is still expected to have legs this weekend after taking the number one spot for the last four weekends in a row. The comedy, also starring Jack Black, Kevin Hart, Karen Gillan and Nick Jonas, has grossed a stellar $320.5 million domestically since its debut on Dec. 20.